Swinging! All photos by Ariel Azoff. Finca Esperanza Verde, aptly translated to Green Hope Farm, takes eco travel to the next level. Ariel Azoff appreciates the natural beauty and learns about how the resort gives back to its tight-knit community. A verdant reader story. 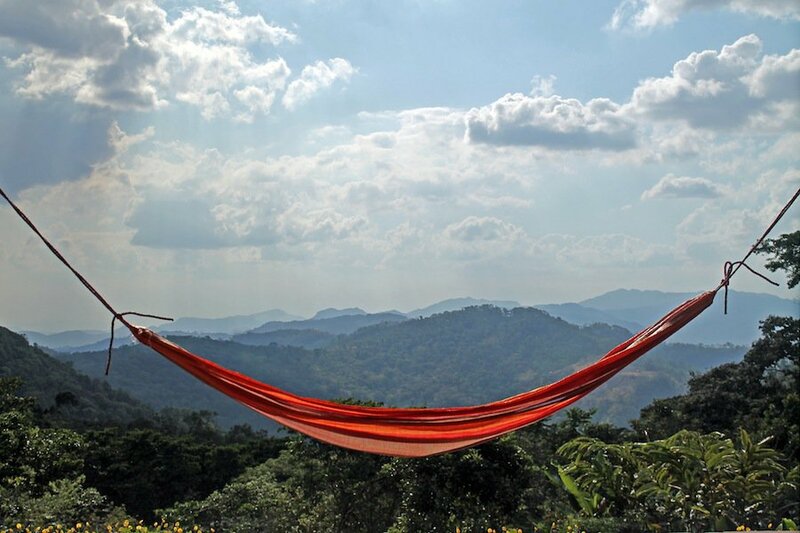 MATAGALPA, Nicaragua – Swinging in a hammock on the yoga platform of the Finca Esperanza Verde, I'm surrounded by bird songs, flowers, and the occasional battle cry of a howler monkey. It's a noisy place that feels quiet because the sounds are all natural. 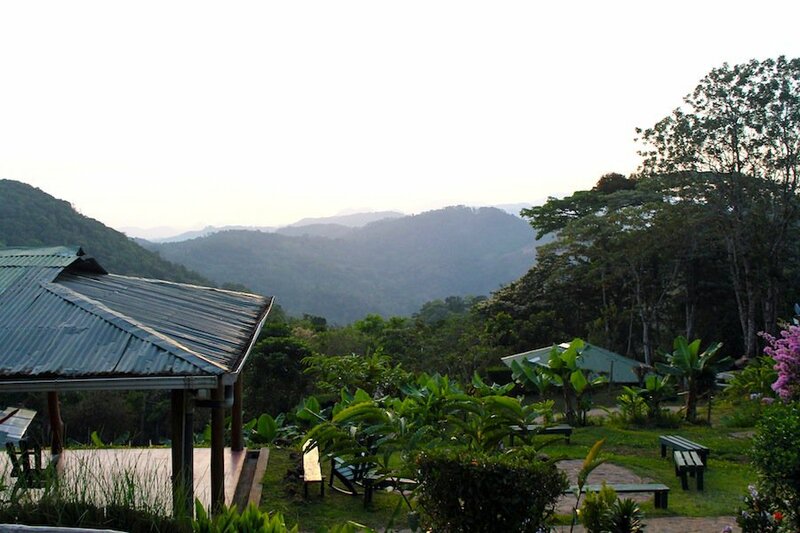 The view spreads out over the coffee farms and cloud forests of Nicaragua's northern mountains. It doesn't get much better than this. Driving the three kilometers up a bumpy mountain road from the village of Yucal to the finca, I got a good idea of the remoteness of the place. But it wasn't until we emerged into the clearing that the sheer beauty of the landscape really hit me. Along with the pungent aroma of freshly brewed Arabica coffee. 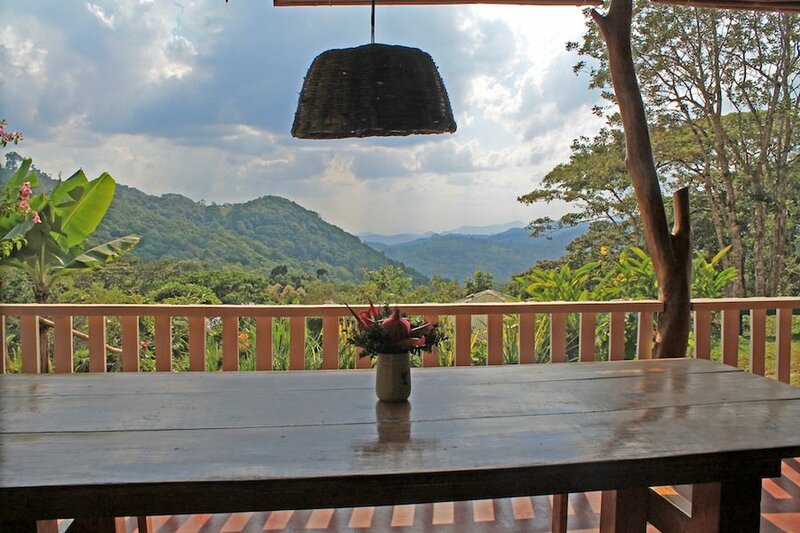 Situated on a functioning organic coffee farm, Finca Esperanza Verde is a prime destination for the eco-tourist. 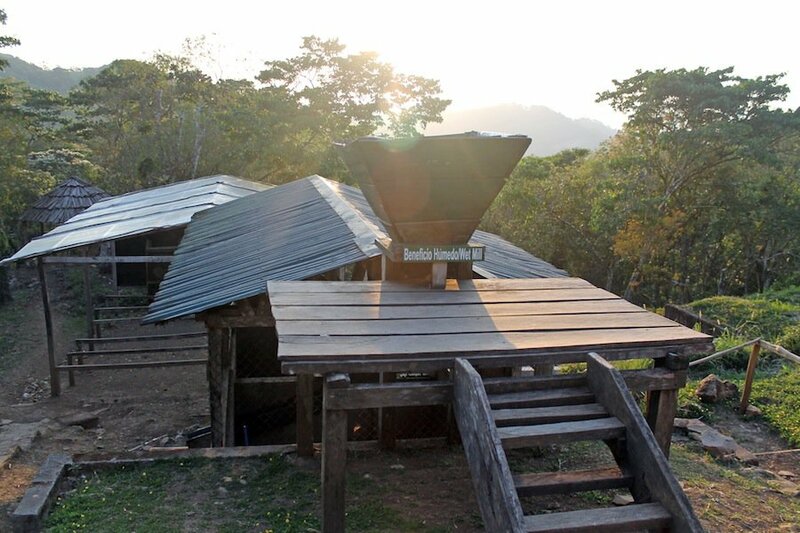 Everything is run on solar and hydroelectric power (and wood, for the showers and ovens), and the delicious food is organic and local. The mountain water is so clean it's been officially certified safe to drink. 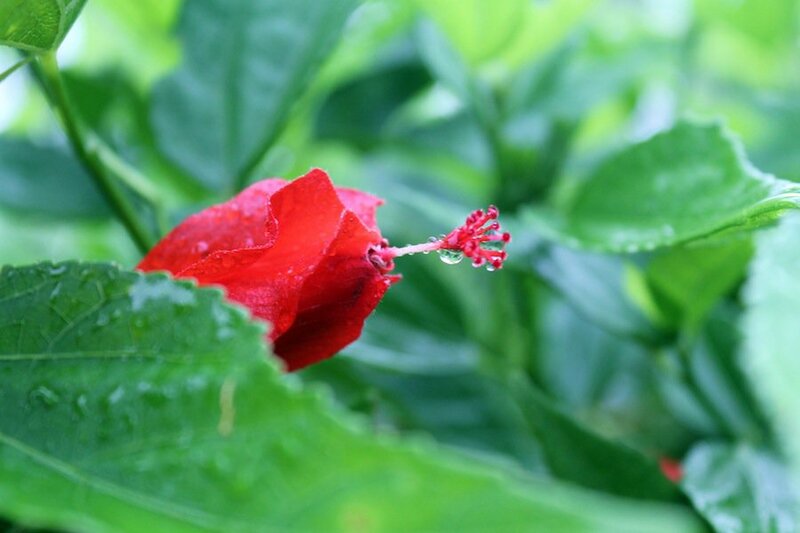 But what truly sets FEV apart from other eco-friendly resorts is the level of engagement with the local community. 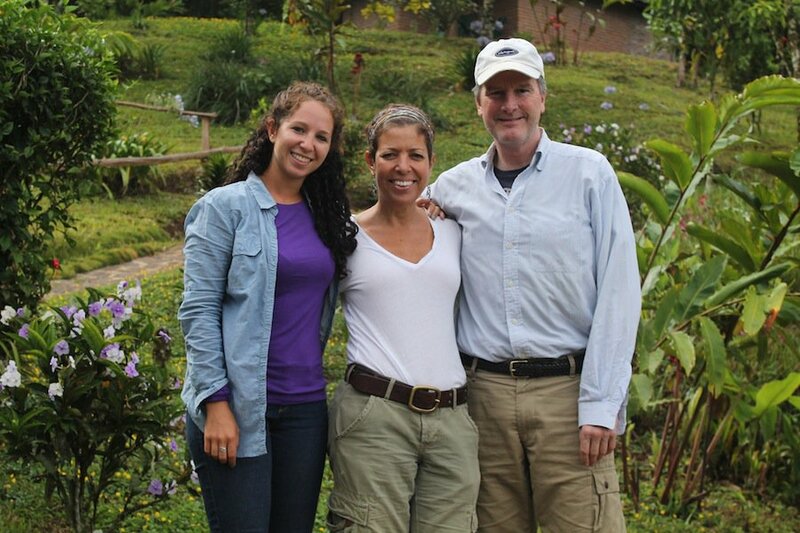 Founded thirteen years ago by Peace Corps volunteers, FEV was recently purchased by my hosts, Vivianne Arango and Andrew Russell. The new owners have made a concerted effort to empower the staff — all of whom live within a 15-kilometer radius of the farm — by discussing new projects with them and encouraging them to feel a sense of pride in running the farm. Vivianne tells her staff, "This farm can't run without you. You are the heartbeat." It seems to be working. "Ecotourism isn't about how much you can afford, but how much you can give back," one of the owners told me. 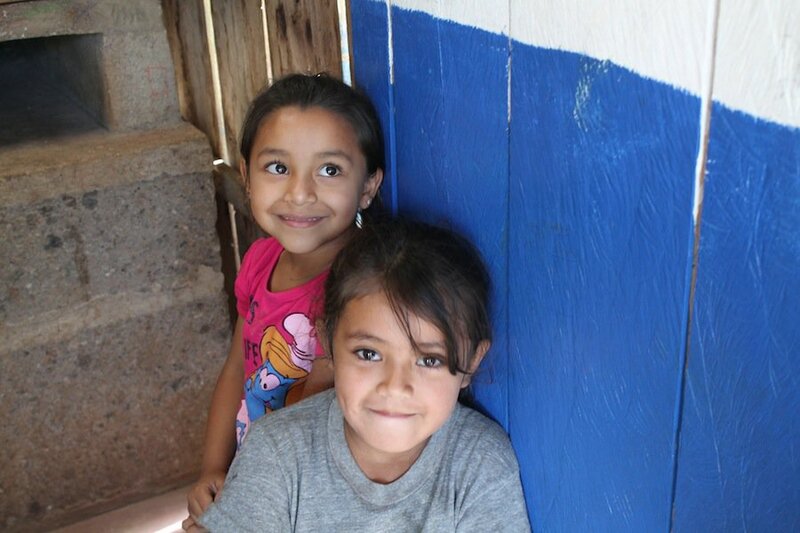 A small elementary school funded by the local NGO was built on — and receives support from — the finca, and provides children with an education they would likely not get otherwise (the next nearest school is difficult to reach on a daily commute). 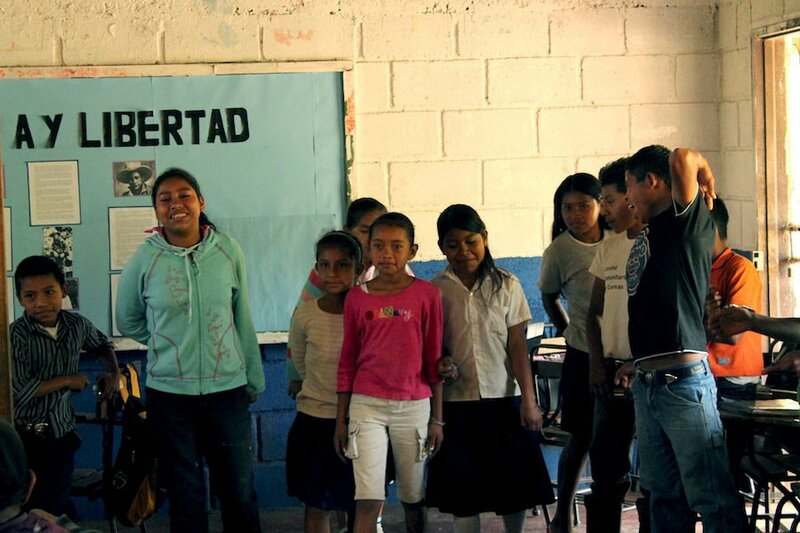 When I visited the school, the children took turns announcing their names and grade levels. Vivianne and Andrew turned to me with smiling faces and said, "This makes it all worth it, doesn't it?" For me, meeting the children was icing on an already delicious cake. Vivianne, who is Cuban-American, feels very close to the FEV community and she communicates with them in Spanish. ("They're my people.") When a staff member's sister was suffering domestic violence from her Guatemalan husband, Vivianne helped the woman and her three children get out of Guatemala. Vivianne beamed to see one of the little girls attending the schoolhouse. Staying there, I felt like part of the community rather than a visitor being waited on by locals. 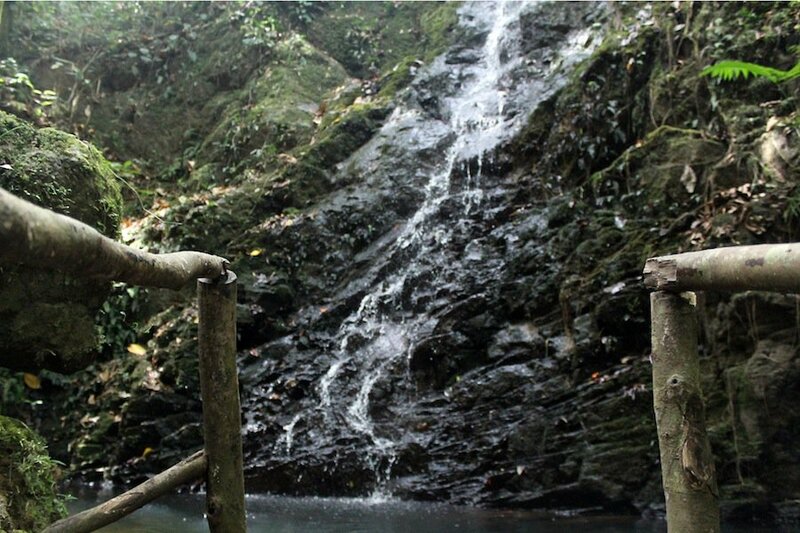 I hiked with Pascual, the manager, to see the new series of walkways he's building around a beautiful waterfall. On the way back, Umberto, the expert bird guide, spotted a sloth asleep in a tree. The organic garden is tended by the tireless Don Teófilo, a veteran farmer who plants based on the cycles of the moon and position of the stars. Vivianne herself showed me around the butterfly house. Vivianne and Andrew have big plans for FEV. They don't want to build a fancy resort, but they do want to give the rooms an upgrade. Vivianne's interior design background was evident, and her excitement palpable, when she spoke of her plans for putting in French doors, creating a cozy lounge for rainy days (of which there are many up there in the clouds), and re-roofing the yoga pavilion. They want to become part of the Rainforest Alliance. I fully expect that when I go back, FEV will be transformed from the little slice of heaven it already is to a full-fledge mountain paradise. 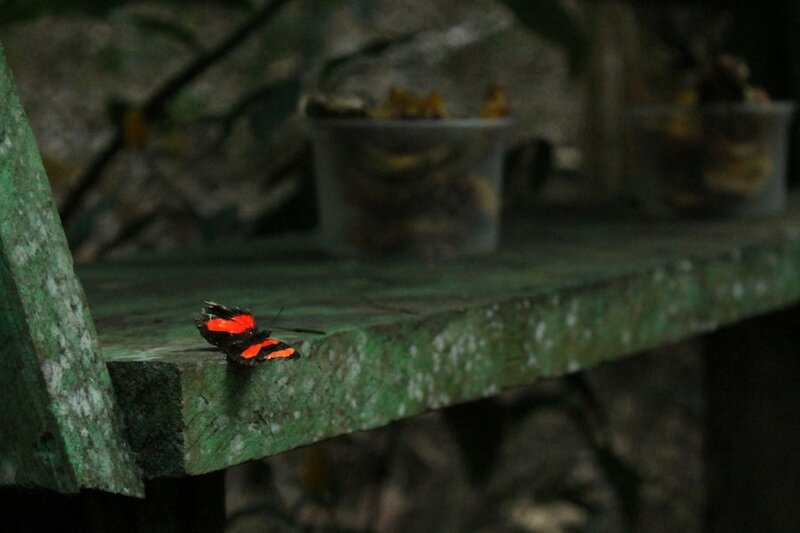 The on-site mariposario (butterfly house). The coffee is processed in this wet mill, which was built by American univerity students over a decade ago. As seen from the dining room. When everything is speckled with water. Found in the forest surrounding the farm. With a gorgeous view from every angle. The author with owners Vivianne and Andrew. Children line up in the on-site school. More of the school's adorable students. Ariel works in business operations at Upworthy and writes about sustainable fashion on Heartsleeves. Follow her on Instagram and Twitter. She travels for the languages, crafts, landscapes, and to discover innovation in social and environmental sustainability. She also enjoys the occasional revolution.